A few years ago I posted the Thanksgiving service from the Spanish Portuguese Synagogue of NY from 1945. 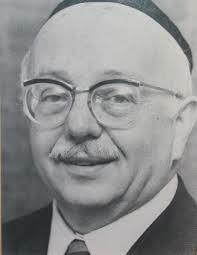 Here is another one, this time the service from Kehilath Jeshurun 1940 and prayer from Rabbi Joseph Lookstein. Read the wonderful universal prayer- ideal for Thanksgiving reading. singing of the national anthem. We thank Thee for the glory of the universe, for the light of the sun and the mellowness of the moon and for the stars in their courses whose amazing dimensions and staggering distances challenge our imagination. We thank Thee for the dignity and majesty of man, for the spirit of wisdom with which Thou didst endow him, for the vision with which he is possessed, for the sensitivity of his heart and the profound­ness of his soul. We thank Thee for the dominion that is his over all creation, for his capacity to live with all his kind and for the urge that stimulates him to search, to seek and ultimately to approach even Thee. For all these blessings we thank Thee. We pray also for those of our fold in benighted lands of oppression, exposed to cruelty and suffering, that they may soon be blessed with the restoration of the rights and privileges of which they have been despoiled and which we believe to be the inalienable rights of man.